An established resort on Sandy Beach and within in walking distance to Penasco del Sol ocean front restaurant, Max's Cafe, and the old port. Las Gaviotas resort is the place to be for rest and relaxation with wonderful ocean views at a fraction of the cost of other resorts on Sandy Beach. 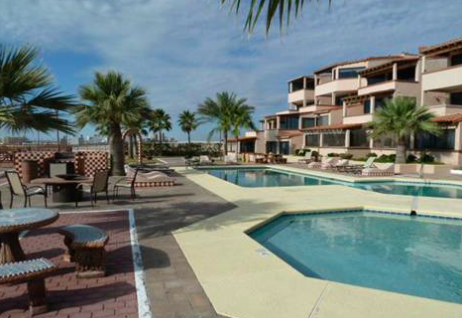 Las Gaviotas offers, pools, beach front access, and onsite parking. Unobstructed old port views and panoramic sunsets. Contact Kyle Wood at Realty Executives Rocky Point for more information. Las Gaviotas Condos Puerto Penasco.